3 Dual Band Deatachable antennas. With its clean, user-friendly design, The Touch P5's display interface provides an ideal portal through which to quickly access and manage your network settings. Now you can modify parental controls, add/remove devices from your network, and change guest access privileges with a few taps on your router's display. For added functionality, the touchscreen display can also function as a clock, when not in use. The elegant design of the body gives your technology an aura of natural continuity in any environment. 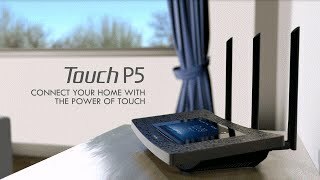 With the Touch P5, you can proudly integrate a gracefully designed router into your personal decor. 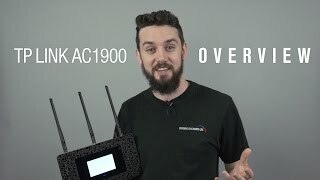 More links for "Touch P5 AC1900 Touch Screen Wi-Fi Gigabit Router (TOUCH P5)"